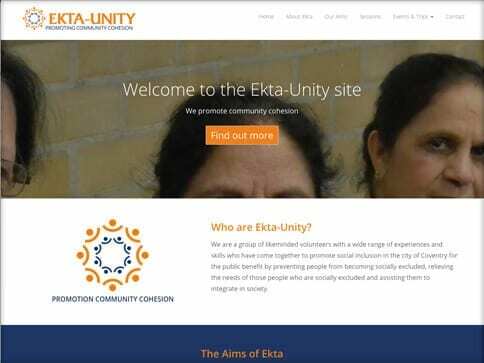 A simple Brambl site that highlights the work carried out by volunteers of community organisation Ekta Unity. Volunteers have come together to promote social inclusion in the City of Coventry. 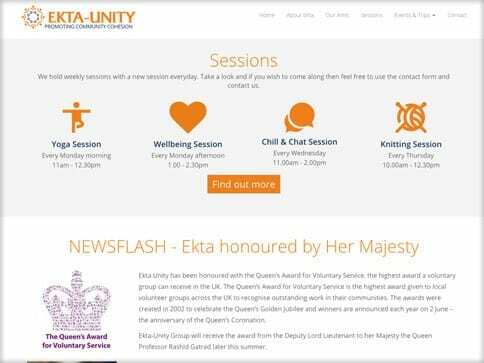 Looking after the needs of those people who are socially excluded and assisting them to integrate in society, the website highlights recent outings, celebrations, and the various sessions open to all. 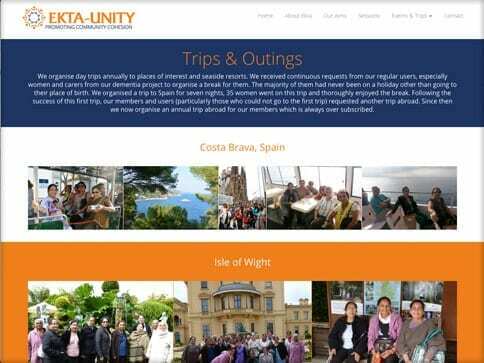 The website is easy for anyone to navigate around and is a wonderful collection of photographs and information.